Lonsdor K518ISE supports MQB key programming ok or not? The answer is yes and no. 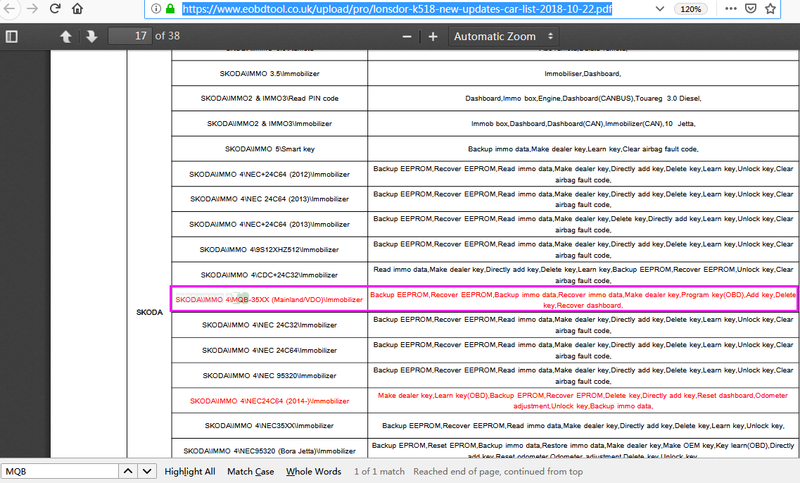 K518ISE update on May 8,2018 claiming: VW \ IMMO4 \ MQB-35XX (China Mainland/VDO)\Immobilizer works. Yes: if the MQB key is VDO, Lonsdor K518ISE can add new key. For example, 2015 Golf 7 MQB key programming succeed. No: if it was Johnson Controls cluster. golf 7 mainland/VDO Dash no Johnson control and not working. For example, Mqb key Golf mk7 2014 not supported. 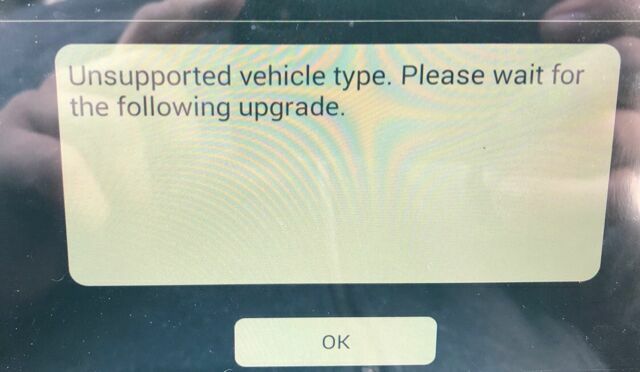 Answer: so it doesn’t support yet. if the menu can backup then it can succeed, otherwise it will fail to do. Usually, If it was Johnson Controls cluster, lonsdor can’t support, add key for VDO is possible. 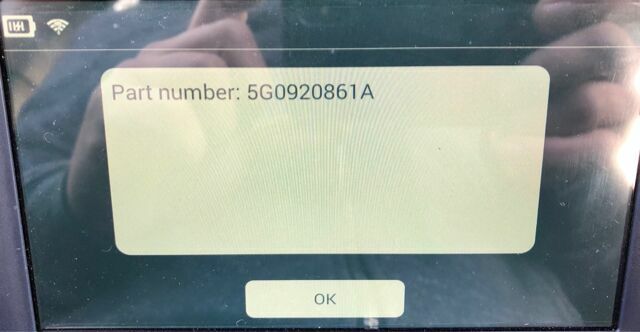 SKODA\IMMO 4\MQB-35XX (Mainland/VDO)\Immobilizer: Backup EEPROM, Recover EEPROM, Backup immo data, Recover immo data, Make dealer key, Program key(OBD),Add key, Delete key, Recover dashboard. BTW, Lonsdor K518ISE does European cars and very well. Lonsdor is better if you live in EU and you program BMW RENAULT VW FIAT …. Just ordering tool for your usage.